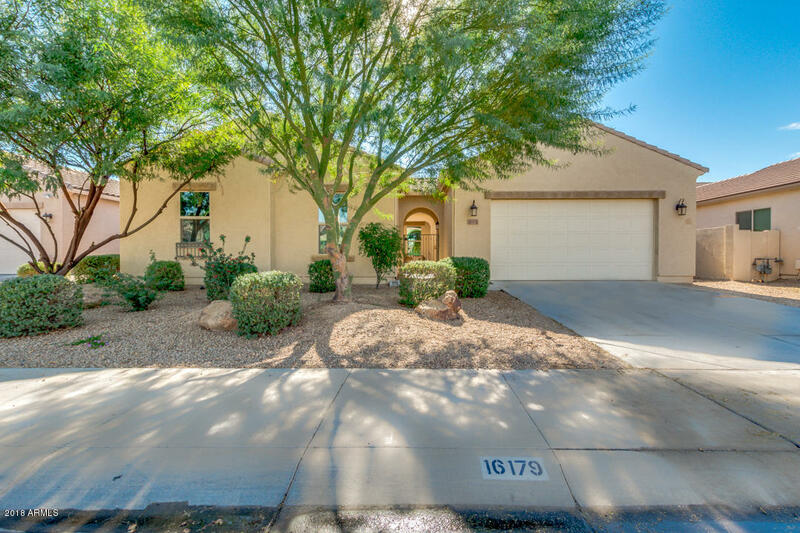 All PALM VALLEY PHASE 8 SOUTH homes currently listed for sale in Goodyear as of 04/26/2019 are shown below. You can change the search criteria at any time by pressing the 'Change Search' button below. 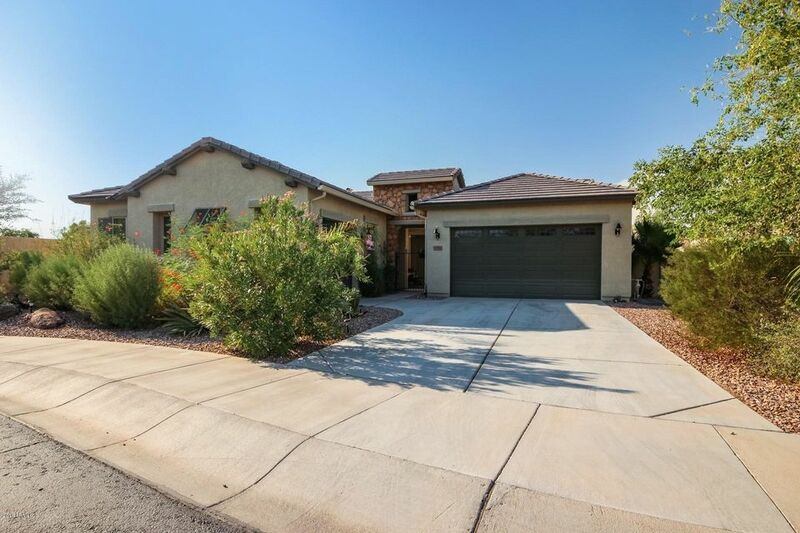 "Stunning Palm Valley home for sale with owned solar and a HEATED pool! Wonderful open concept floor plan with 5 bed, den, bonus/teen room & 3 bathrooms! The gourmet kitchen outfitted with granite countertops, oversized center island, pantry, SS appliances, gorgeous upgraded cabinets, double ovens, kitchen hood, and dining area. Dazzling master bedroom features a bay window, door to backyard, full bath with his & her sinks, separate tub, shower, and large walk-in closet. Resort style backyard pe"
"Immaculate 4 bed, 3.5 baths home with plenty of living space inside this 3,257 sqft floor plan that includes formal living or dining room, den, family room AND bonus room! The gourmet eat-in kitchen features 36'' maple cabinetry w/ crown moulding, quartz countertops & complementary backsplash, electric cooktop w/ range hood, stainless appliances including a wall oven, large kitchen island w/ breakfast bar seating, walk-in pantry and dry bar w/ wine cooler. The master retreat w/ tray ceiling ha"
"MODEL PERFECT in Palm Valley! Situated on an over 15,000 sq.ft. corner lot, this home truly has it all! Elegant, warm, inviting and spacious describe this 3 bedroom, plus den home! Too many features to mention, but here are just a few: Owned Solar panels, EXTREMELY energy efficient, Wonderful open floorplan, with a large great room off the kitchen and a separate living room off the entry, enjoy your family and views of the stunning backyard from the gorgeous gourmet kitchen, a chef's dream! 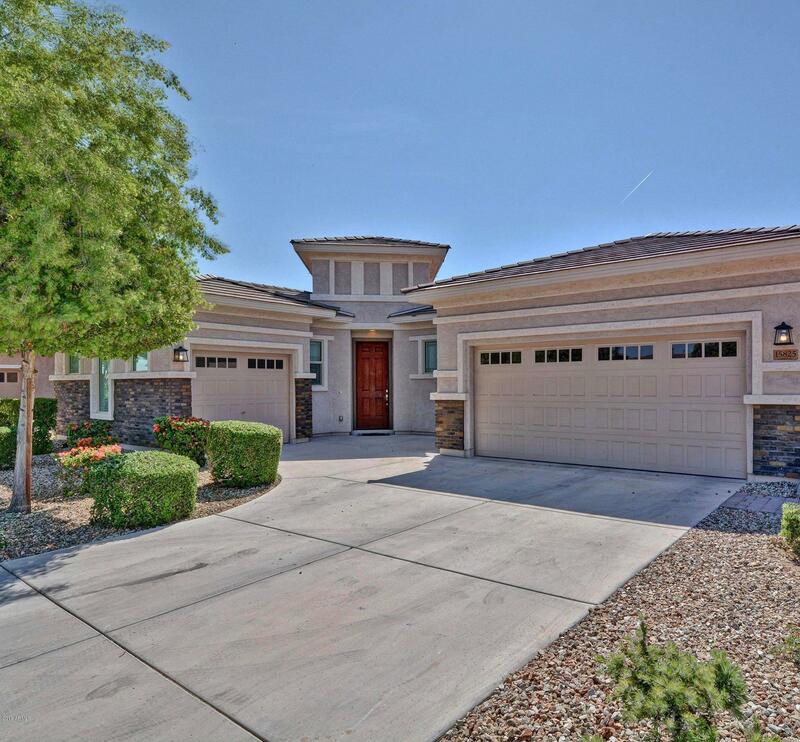 HUGE"
"Absolute Stunning home in Phase 8 of Palm Valley! This home has everything! 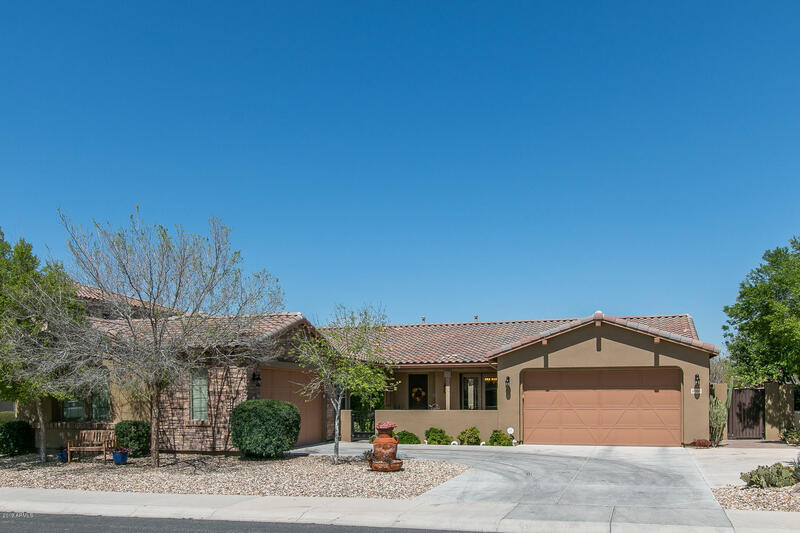 Walk into a wide open floor plan, upgraded gourmet kitchen, 3 large bedrooms, den/teen room, surround sound speakers, and extended master suite. The home has fresh interior paint, upgraded appliances that stay with the home, and seller will include the 80 inch Television in the living room with both receivers! Entertain and relax in the backyard with a sparkling pool, spa, travertine tiles, covered patio and fire pit"
"REDUCED! MOVE-IN-READY! 3 BED / 2.5 BATH / 3 CAR GARAGE! STUNNING HOME W/ RESORT-STYLE BACKYARD featuring Covered Patio w/ Travertine Pavers surrounding to the Pool Cool Deck. Pebble Tec Private Pool, Grass Rear Yard and Mature Landscaping. Master bedroom features His and Hers Closets, Double Vanities, Garden Soaking Tub, and Separate Shower. Master has access to rear Patio for Easy Evening Pool/Patio Access. 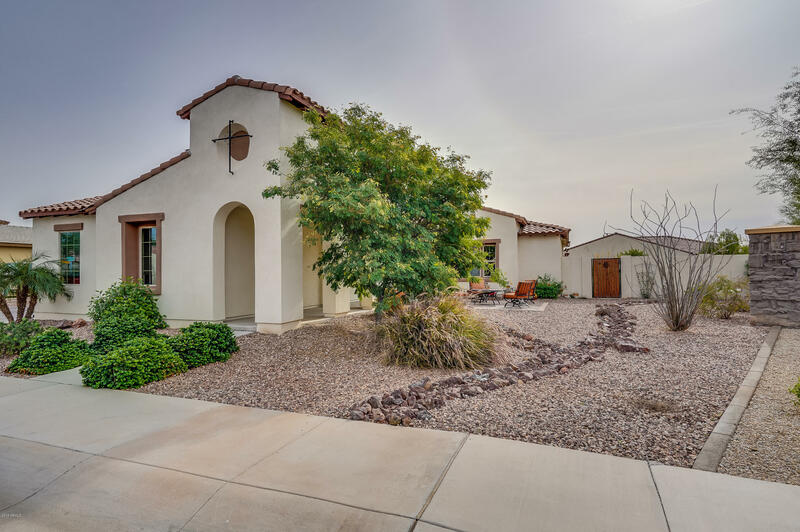 Open Floor Plan, Tile Floors in Traffic Areas, Gourmet Kitchen w/ Granite Counters, "
"This wonderful split floor plan offers 3 large bedrooms and 2.5 bath. The gourmet kitchen offers a huge kitchen island, stainless steal appliances, dual ovens and 18' title throughout. The grand master bedroom has a large bathroom, dual sinks with granite counter tops and a over sized closet. There are two additional rooms located on the opposite side of the home with a jack-in-jill restroom. This home has 10' ceilings, and shutters throughout. There is an office/den, RV gate, extended gara"
"Motivated Seller!! !This Gorgeous home is only 4 yrs young and is a Must see! 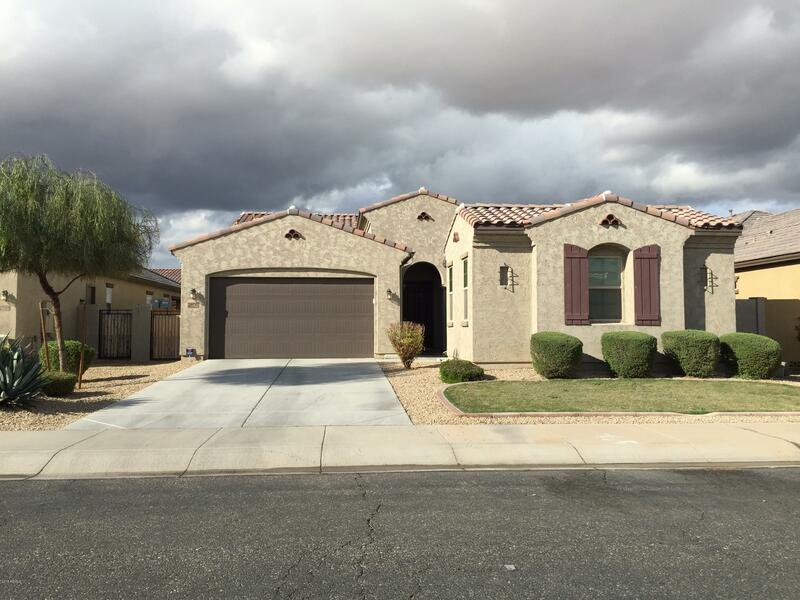 Located in a quiet neighborhood with easy access to the I-10 freeway. Close to dining and shopping for your convenience. This large open floor plan has many upgrades including Gourmet kitchen with double ovens, granite counter tops, designer 36'' hi/low maple cabinets w/crown molding & walk-in pantry. Nice french doors that lead to den/office. The unique Mother-in-Law suite features a living room, bedroom & separate "